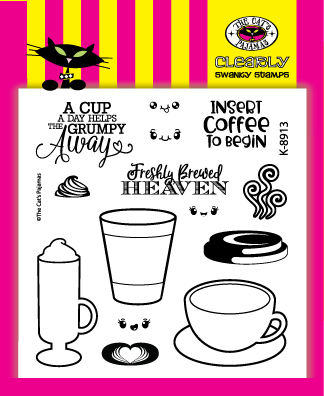 ChristineCreations: The Cat’s Pajamas January Blog Hop! 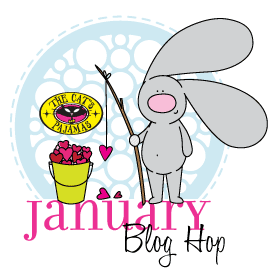 The Cat’s Pajamas January Blog Hop! Hello Friends! It’s been a long time since I’ve posted - or even done anything creative because of my husband’s illness and hospital stay with a heavy-duty infection that caused pneumonia. After a month - we’re so grateful he’s home recovering now. It will be a while until he’s back to himself, but we’re thanking the Lord we’re heading the right direction. So, it is also the first time I’ve created in a month. I just wasn’t up to it before, but I’m so glad I didn’t completely miss out on The Cat’s Pajamas January Release, because it’s so CUTE! And all these goodies are available now in the store! We’re celebrating with a HOP, and you should have come from the uber-talented Nancy’s blog over to me. We’ll start out with Spit Happens and the coordinating Alpacas CutUps Dies! I gushed over these right from the first time I saw them. Aren’t they just darling??? After stamping with VersaFine ink on Watercolour paper, I watercoloured these little guys with Zig Clean Colour Brush Markers and then used the coordinating dies to cut them out perfectly. GAH, so darn adorable. 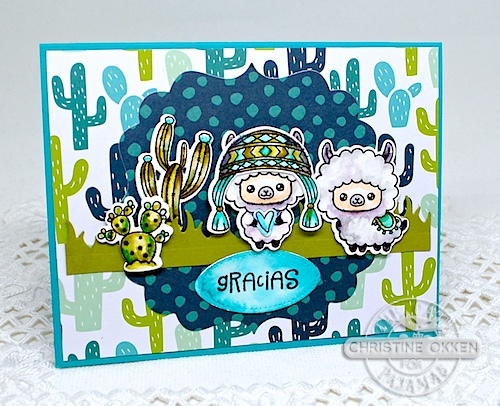 Just look at those cute little cacti and the Peruvian hat for this little guy. 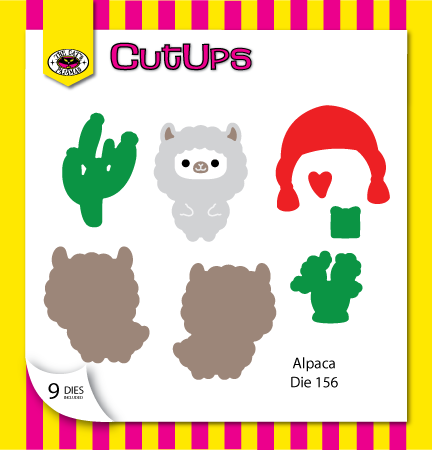 The hat can fit on each of the 3 Alpacas in the set. It’s paired with new paper from My Mind’s Eye called Happy Days. You couldn’t get more perfect that that cacti background paper. I used a few TCP Cut Ups dies, including Grass, and Framed Up 2. Just look at that little guy in the center. His little arms pop out of the die to hold that heart!!!! There’s a present in the set as well as a coffee cup he can hold too. 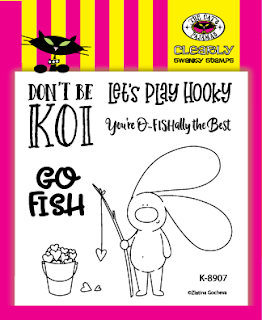 This one is called Don’t Be Koi. It comes with all sorts of sentiments that make it perfect - not only for Valentine’s but other sweet times too. 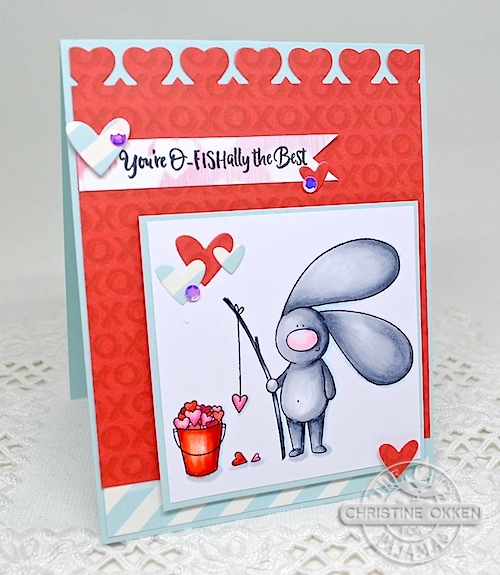 He’s coloured up with Copics, and then accented with more TCP CutUps dies, Heart Border, and some die cut hearts. I’ve accented with some new hole-less sequins in the TCP store. 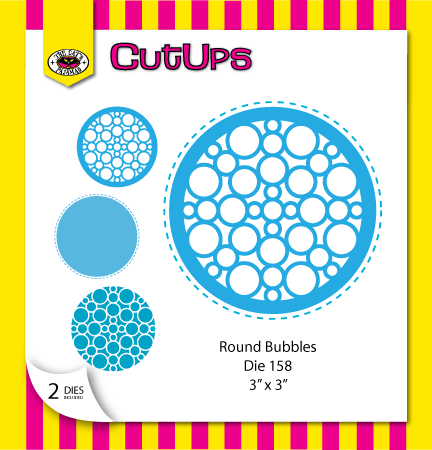 I LOVE them because you don’t have to worry about glue going through the little holes in your sequins. Here’s a picture of all the fabulous New Release Items that are now available. 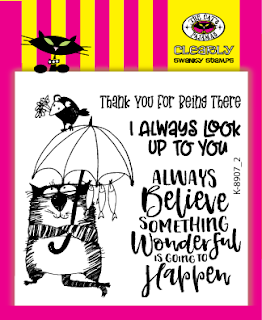 Now head on over to see what inspiration the lovely Deborah has in store for you! If for any reason you get lost along the way head on over to see Alma at the TCP Blog. Thanks for popping by and celebrating this fun release! Christine! I'm so glad things are getting better because I really love seeing your wonderful creations! Both cards are superb! I'm sorry to read your husband has been ill, but glad to hear recovery is on the way! 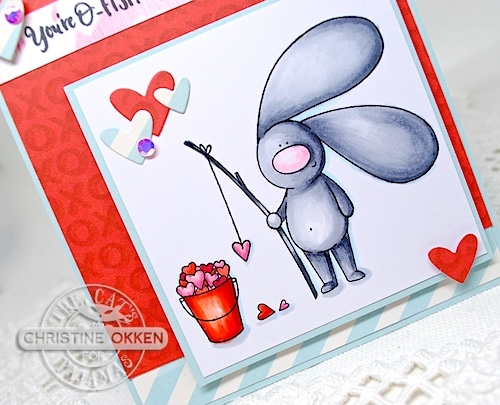 Your coloring always amazes me, and these cute cards are no exception! It's good to see you here, Christine, and really good to know Terry's well enough to come home and finish getting better. 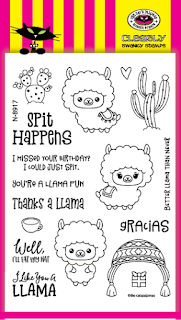 You're right about how cute these stamps are! 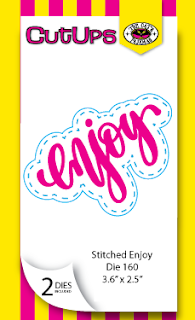 You've made some absolutely darling cards with your perfect coloring and fun designs. Looking at the stamp sets, I especially love the cat with umbrella and fishies hanging off. So cute! Oh so sweet! 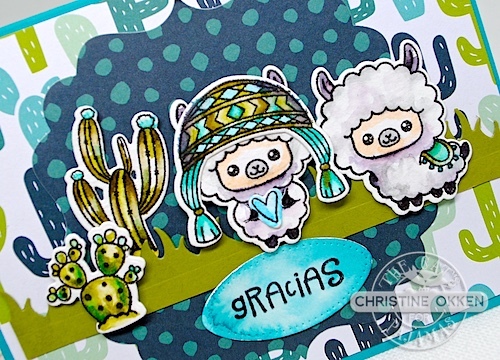 Love the Valentine and the deelish colors on the teal/green llama card are yum! I'm glad hubby is home and I pray he will continue to heal. <3. 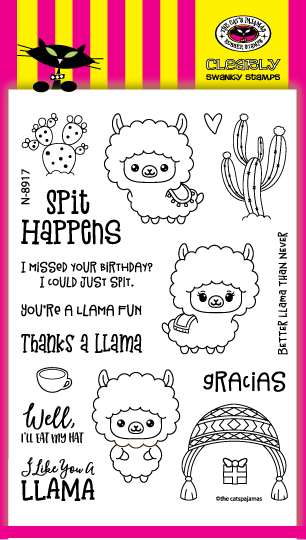 Such cute cards! The colors on the llama card look spectacular! Wonderful designs Christine. So happy to have you back with us especially since it means your husband is doing better. Love both cards, esp the first one - it has all my fav colors! That bunny is so cute, great projects!! !